Climbing rose with upright, free-branching growth. 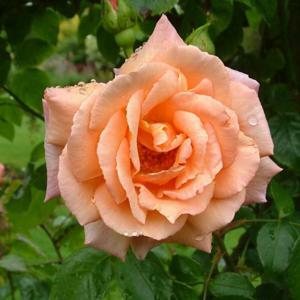 Dark green leaves and fully double, fragrant flowers of salmon-pink suffused with apricot, from summer into autumn. 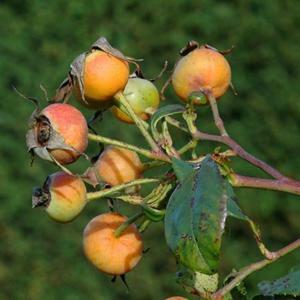 Large round red-orange hips in autumn.